Those of us who had their fair share of action and science fiction flicks, will understand the virtue of a handy weapon that can fry those intrusive enemy electronic devices from afar. 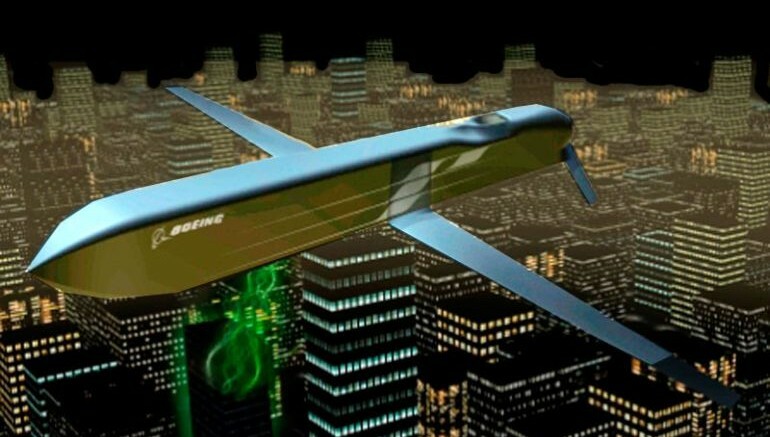 And interestingly enough, that is exactly what the the collaborative effort of Boeing and Raytheon has produced – in the form of Counter-electronics High-powered microwave Advanced Missile Project (or CHAMP). In fact, Lockheed Martin’s stealthy, long range Joint Air-to-Surface Standoff Missile (JASSM-ER) had been recently nominated as the optimal platform for the CHAMP – thus allowing it to be carried as an airborne projectile. And, in case you are thinking, this is a bit far-fetched, the CHAMP had already been test fired in 2012, during which it successfully took out the computer-connected system of an entire military facility. This experiment conducted by Boeing entailed the flight of the CHAMP in a AGM-86 Conventional Air-Launched Cruise Missile, while it flew over the Utah Test and Training Range. And according to the company, the weapon successfully discharged its electromagnetic pulses on seven targets – which led to the dismantling of their electronic setups and even the shutting down of the camera that was recording the impact. And now in 2015, the technology is expected to even more potent since its nominated carrier JASSM-ER boasts of better credentials than the AGM-86 (a series that is already tagged for retirement). To that end, the physical component of the CHAMP itself is expected to be miniaturized to fit the aforementioned JASSM-ER. Furthermore, JASSM-ER is compatible with both fighters and bombers – which makes the potential delivery of the CHAMP more flexible in terms of military logistics. That’s an operational system already in our tactical air force, and that is really what will make us more operationally relevant. Both the major commands and the combatant commands are very interested in that weapon system. It’s a non-kinetic effect. And, in case you are interested, this is not the first advanced weapon system that Boeing has dabbled with – as is evident from their laser cannons and plasma force-fields.